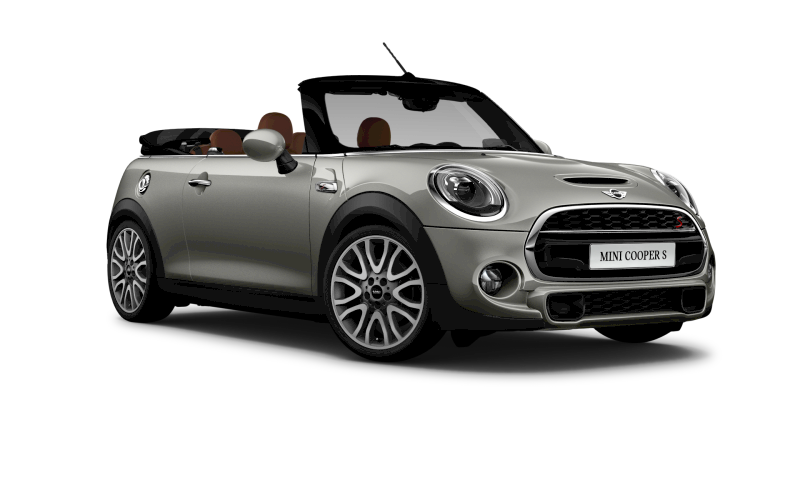 Take a closer look at the MINI Cooper S Convertible. 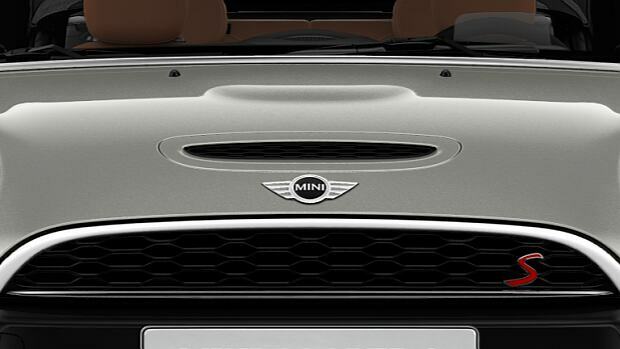 AIR SCOOP IN THE BONNET. 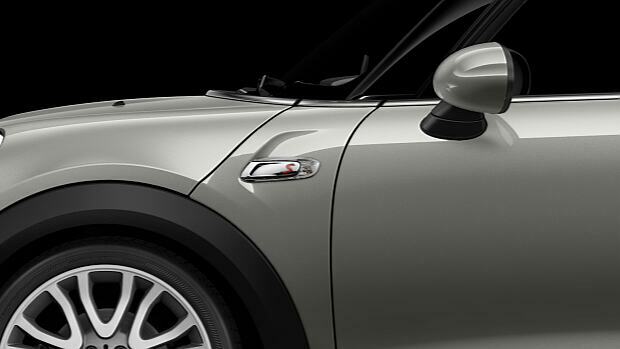 As much a signature as the distinctive S badge, the air scoop cuts a striking shape in the bonnet. 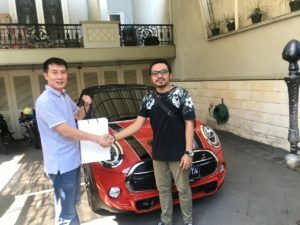 This track-style grille may be named after the sweet stuff, but it represents the real sting of the powerful MINI Cooper S Convertible. Embellished by a Chrome Blade and the iconic red ‘S’ emblem, with air ducts for the brakes in the lower air intakes – it’s a distinctive front end. 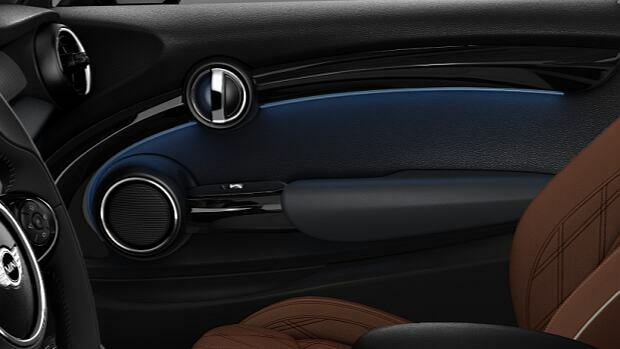 The curves on the door give a real sense of acceleration and exhilaration within, and are available in a choice of themes. 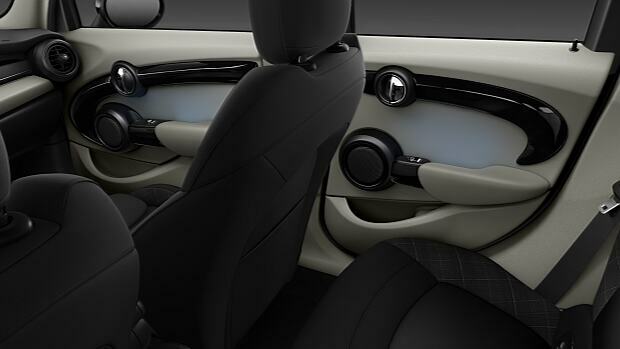 As you would expect, there’s no compromise in the rear. 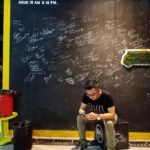 So the same design, colours and surfaces complement the good work started by the front doors. 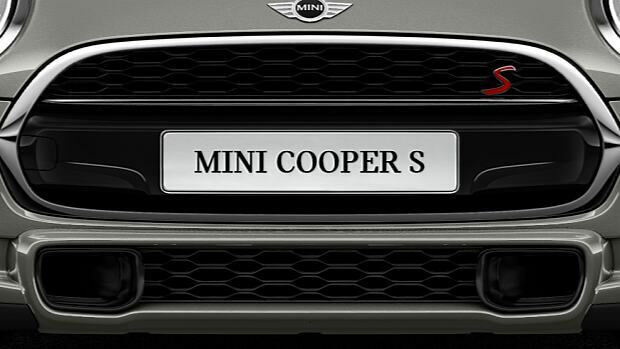 Made from shiny Chrome with suggested air outlets, the MINI Cooper S Convertible side scuttles bear the distinctive ‘S’ logo, with stylish white indicator lights. 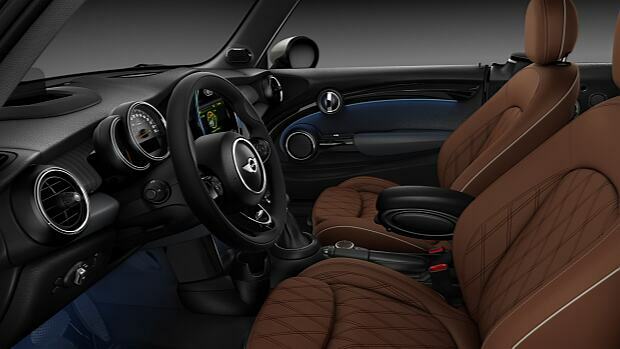 Nothing says sophisticated, like the rich, warm hue of Leather Chester Malt Brown upholstery. Attractive quilting adds to its classic look that hints at the debonair. 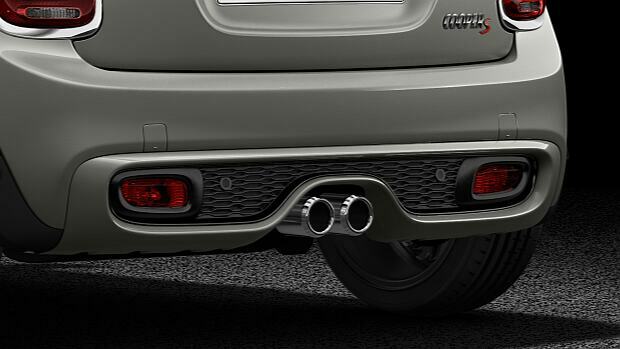 Double exhaust tailpipes, because one just isn’t enough for this powerhouse. Gleaming in Chrome, they also look the part.